Okay, y’all know I may have tendencies towards melodrama but this is serious. 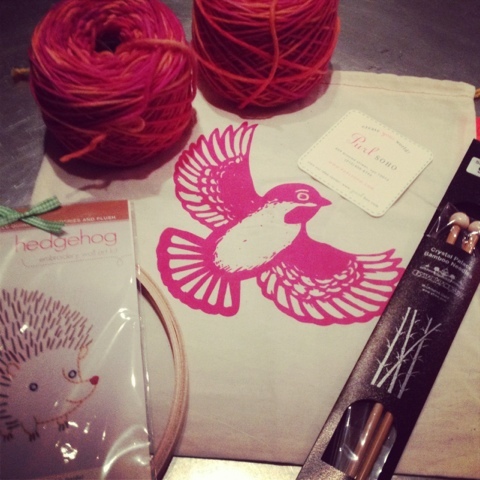 Okay, so this is a scandalously non-sewing themed post. I know- I head to the States for a couple of weeks and I become a renegade. But never fear- we shall return to our regular scheduled programming shortly. Currently, husband and I are kicking it ol’ skool in the East Village in New York. And this means walking distance to Purl Soho. 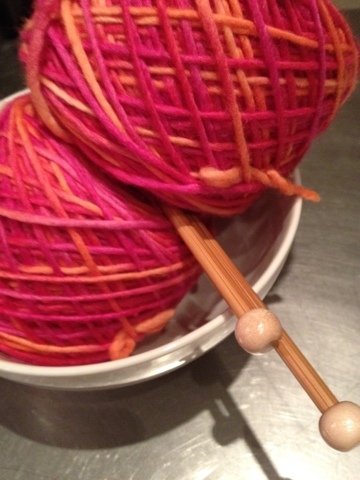 I’ve been following these guys on their blog Purl Bee since I made some epic strawberry pillows from one of their how-to tutorials a few years back. Now while they have some glorious quilt fabrics, I must admit my goal was some of their wool. I’ve very limited knowledge of knitting and I thought if there is a place to start this was it. After 30 minutes of pottering I emerged with a knitting basics book, a pair of gorgeous wooden needles, an embroidery kit, a project carry bag and two skeins of wool. Win! I mean, look at the colour of this wool! And here endeth my knitting bit on the side. Next stop will be Mood Fabric and Parons Fabric. I can’t wait! 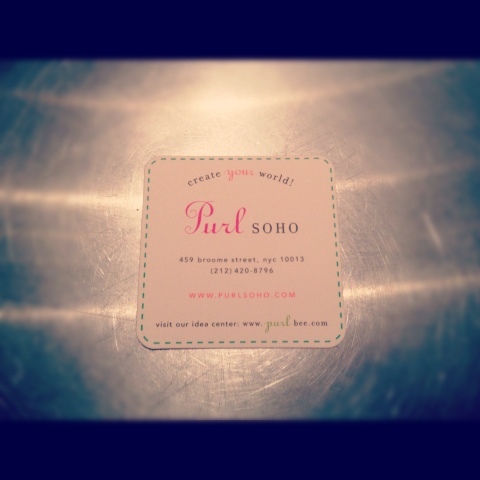 Oh I would love to visit Purl Soho! That yarn looks delicious. It was insanely amazing, Kat! And this yarn feels like small marshmallow clad rabbits. Honestly. It is that lovely!